Former England, Notts County, Sheffield Wednesday, Aston Villa and Hull City forward Jackie Sewell has passed away at the age of 89. Sewell scored 104 goals in 193 appearances for the Magpies and helped them to promotion from Football League Third Division South in 1949-50. He transferred to the Owls in 1951 for a record fee at the time of £34,500. Sewell made six appearances for England, scoring three times and retired from the sport in 1961. 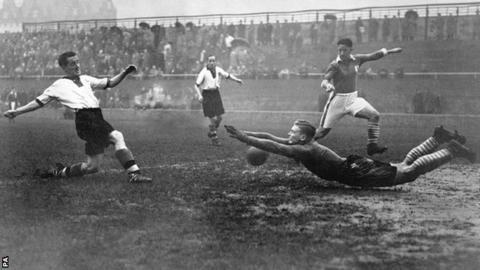 One of his goals for the national team came in 1953 in a game described as the 'Match of the Century', when England lost 6-3 to the Olympic champions Hungary at Wembley. Notts County club ambassador Les Bradd said: "Before he moved to Nottingham, he used to leave work at 5pm on a Friday, get on a bus to Carlisle railway station, board a train to Derby, get another train to Midland Station and then walk to his digs on Meadow Lane, arriving at about 1am. "When we played away, he would often have to be up at 6am to travel with the team. It's just incredible that, despite all that, he scored almost a goal every two appearances for Notts. "He was always a pleasure to be with and talk to." The Magpies have announced there will be minute's applause in memory of Jackie ahead of Saturday's match against Morecambe.